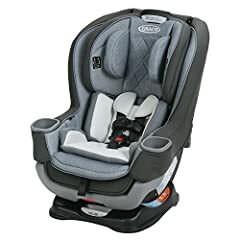 Graco Extend2Fit convertible car seat installation for rear-facing placement. In this video I am using the seat belt to securely install the car seat. Make sure to fully review the owner’s manual for best results. Installing a rear facing car seat with a seat belt can be the best option depending on your child’s weight and model year of your vehicle. After installation, there should be very little movement in the car seat when pushed laterally. When tightening straps, do not worry about overtightening – it is better to have the car seat safely secured than to have it too loose. It is best to ensure the back of the car seat is not touching the back seat of the passenger sitting in the front seat. Your baby’s safety is top priority. Installing car seats in the rear facing position is recommended to be followed for babies younger than age two. 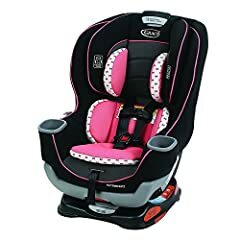 In some states, local police departments or community centers provide free evaluation of existing car seat installations, even providing complete installation at no charge. It is best to check with your local municipality and see if an appointment is required. The Graco Extend2Fit convertible car seat allows for your child to sit rear-facing for up to 50 pounds. Key features include six reclining positions and an extended panel that provides up to 5 inches of additional legroom. The color of the car seat featured in this video is ‘Campaign’. This video is very comprehensive and easy to understand. I appreciate the reminder to have the installation checked by the police or community service offices for maximum safety precautions. Installing an infant car seat is intimidating. This video is clear and concise. I found it very helpful and informative. Hi, just got this as a gift for our growing girl…do you know if this has a base sold separately for easy latching? thank you. very helpful and understandable. That’s a ton of wiggle room. You want someone to push down on the seat and use the metal seat belt tightened to get rid of all that play!! I like the hand through the opening; makes it clear where the belt goes. Just so u know those side clips u said u dont have to use are very important too USE ! Those metal clips will make sure the bby wont move if the belt rips off. Plz remake this an use those metal side clips. May safe a bby life . 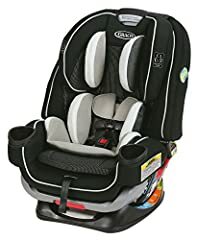 Wrong wrong wrong wrong—–bad video to a point—-he still needs to put knee in middle of car seat—push down and tighten even more—-plus even if you don’t have achore hooks on the car—find somewhere to use those also—-your baby car seat should NOT move at all—-I dont care how many straps you have to use—-make that car seat so snug that it will not move more than 1/2 inch any way—-better yet not move at all…..
Do not install your car seat this way. This is a terrible install. That seat is WAY too loose. el video más claro que vi! muchas gracias!!! Good video, easy to understand. Still, hard to install if you have big hands. Thank you so much for this! This was extremely easy to follow and made my install less stressful!